There is an Armenian saying that goes: The best way to find a job is to create one. Throughout our history we have never been jobseekers. We were the ones creating the jobs. The Armenian government should simply set fair rules and business conditions and everything will come to its place. To do that, Armenians should stop taking bribes during elections. All they do is complain and on election time take the bribe and put the crooks back in power. Only a honest politician can set fair and honest rules. What can we ~ from outside Armenia ~ do to encourage "Fair rules and business conditions" and " End election Bribery " ????? How can we help ??? Edited by onjig, 21 February 2018 - 10:15 AM. If there is no difference between the RA Armenians and diaspora than treat them fairly when they invest in Armenia. Don't let them (Crooks) collude with the judges and steal their investments. Talk is cheap, now walk the walk! this world. This model is an open, rather than a closed model for me. Diaspora is in the hands of youth with free thinking. YEREVAN, March 14. /ARKA/. 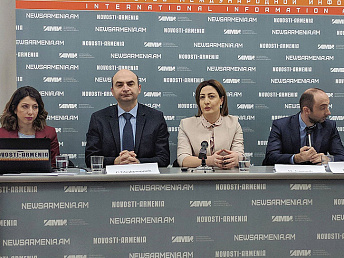 The decision of the government of Armenia to introduce tax breaks for start-ups has helped establish about 400 new information technology (IT) companies, Deputy Minister of Transport, Communication and Information Technology Amalia Yegoyan told a news conference today. Under a government decision passed by the Armenian parliament in late 2014, startups employing up to 30 people can be exempt from profit tax until 2020. They are also eligible for a preferential income tax rate for their employees, equivalent to 10 percent of their gross wages. 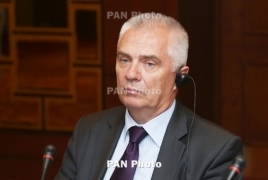 The minimum payroll tax rate in Armenia is set at 24.4 percent. According to the deputy minister, in 2017 alone more than 100 companies were set up not only in the capital Yerevan but also beyond it. She said small teams working as freelancers that used to work in shadow chose to register their companies after the decision. ‘This is very important, as international companies wishing to cooperate with Armenian start-ups require portfolios of companies, information on registered employees and other data ," noted Yegoyan. She said as a result of successful negotiations, an agreement was signed earlier this week between the Gyumri Technology Center and MALIA Group in Lebanon, which intends to support the start-ups of the Center and entrust it with some technological tasks, as well as the maintenance programs. Ratings agency Moody’s has changed the outlook on Armenia’s debt from stable to positive and reconfirmed the country’s B1 long-term issuer and senior unsecured debt ratings. 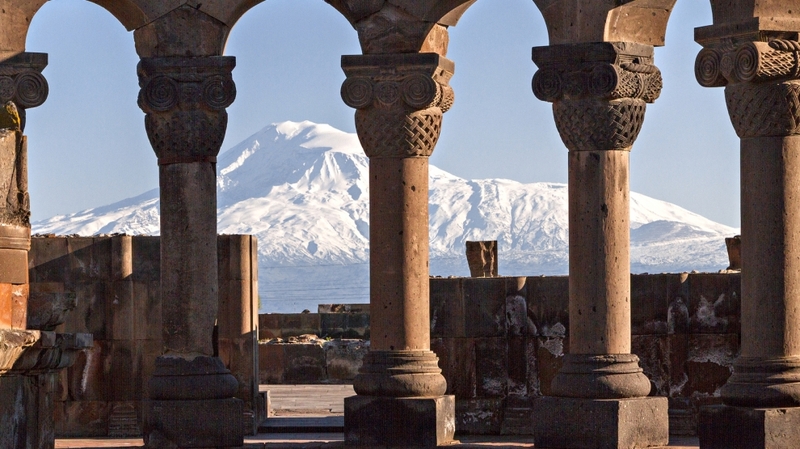 “The change in the outlook on Armenia’s sovereign rating to positive indicates that Moody’s sees the next 12-18 months developing positively,” read a report issued by the Armenian Central Bank. Moody also raised the country’s long-term local-currency bond and deposit ceilings to Baa3 from Ba2. Moreover, long and short-term foreign currency bond and deposits will remain the same. A decisive factor in the change was GDP growth, high level of affordability of state debt and strengthening of institutions, as well as the development of a macroeconomic stability assistance policy. Moody’s also outlined the risk factors which served as a base for keeping unchanged the country’s rating and changing the outlook from stable to positive. According to the agency, upward pressure on Armenia’s rating would stem from further economic and institutional reforms that point to sustained improvement concerning economic competitiveness and institutional strength. Moody’s expects that Armenia’s fiscal deficit will narrow to 2.6 per cent of GDP in 2018 and 2.5 per cent in 2019, from 4.7 per cent in 2017. The organisation expects levels of government debt to decline by approximately 2 per cent by the end of 2019. On April 10-17, the “For the sake of the state of Armenia” is preparing for new rallies and bringing more people to the streets. As stated by Petros Makeyan, Chairman of the Democratic Homeland party, member of the Coordinating Group for the “For the sake of the state of Armenia”, regardless of expectations of some forces, all their demonstrations and actions will go on without any violence. “The authorities are concerned about the resumption of the struggle, noting that a new movement has begun, but with old faces, who, after being imprisoned, continue to strugglle against them. In publications and statements it is said that we are getting ready for a fight. We are also accused of supporting “Sasna Tsrer”. And if the Government feels real danger, they can put new obstacles and declare that we are going to commit illegal actions, even impose on us cases like Sari Tagh or others,” he said. Susanna Muradyan, a member of the Coordinating Group for the “For sake of the state of Armenia” frontline, stressed that the rally, as well as all further actions would be peaceful. “It is not necessary to fight against the computer, liking this or that statement or speech, but it is necessary to go out to the square and rally. Change of power will only happen under the pressure of the people,” said the speaker. Karapet Rubinyan, a former vice-speaker of the RA National Assembly, member of the Coordinating Group for the “For the sake of the state of Armenia”, noted that it was expected to unite with other opposition forces. According to him, if the society felt that the opposition was united, it would join them. At the moment, according to the members of the “For the sake of the state of Armenia”, negotiations are underway with the the Yelk (Way Out) and Yerkir Tsirani parties, and their position will be clear. The youth is our future, hopefully they will succeed! PanARMENIAN.Net - The EU delegation in Armenia has announced the launch of EU for Youth project and four new youth empowerment programs in the country, Panorama.am reports. When the project launched on Tuesday, March 20 , EU ambassador the country Piotr Switalski urged the Armenian youth to create a different state. “It is your responsibility to create a better future for your country,” the diplomat said. According to him, young people should be able to push the country forward and unveil it to the world. Also, Switalski said Armenians are talented, have a high IQ, and the European Union supports them by creating good education opportunities for them.